For some time my cache Upptåget#13 – Uppsala has needed maintenance. The film canister’s lid had cracked and the log strip was wet. My son-in-law works in Uppsala and commutes there by train every weekday so I asked him to help with the replacement. For whatever reason this didn’t get done so I had to drive down to fix this myself. It’s one of the duties of a CO even if the cache isn’t close to home. I planned to do this on Easter Monday and decided to see if any of my geocaching friends would like to come with me. Madchicken and Ironhawk67 were able to so they turned up on my doorstep at 8 am and we set off towards Uppsala. As we were approaching Tierp someone commented that there was a cache near the exit and we realised that none of us had logged it. Of course we had to stop and find Yari’s Arvidsbo. What we didn’t know at the time was that we would also end the day with one of his caches, but more of that later. 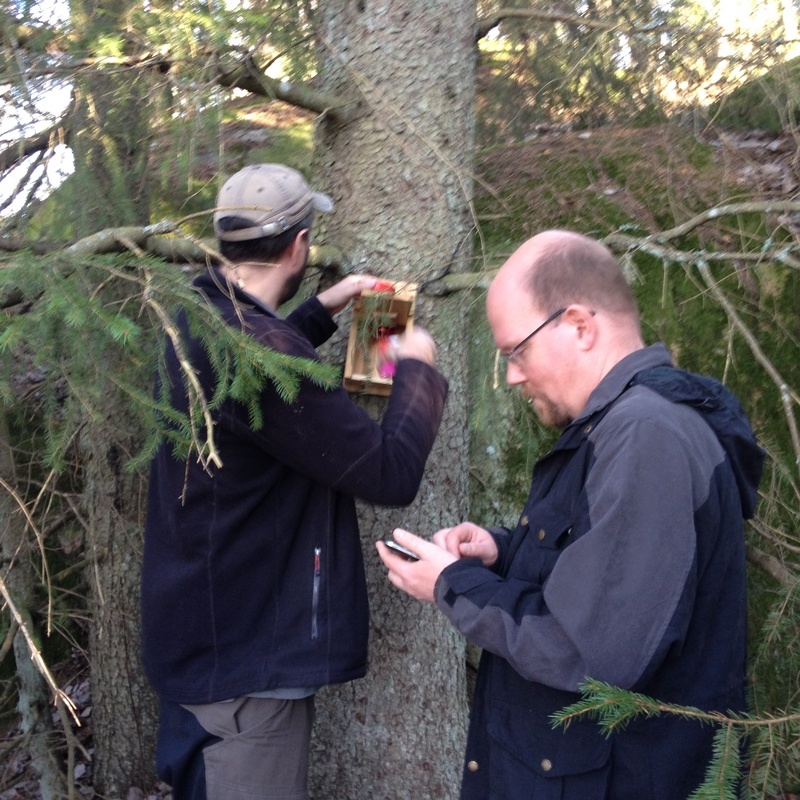 There are hundreds, if not thousands of caches in and around Uppsala and I noted from my last PQ from there that there were about 40 Wherigo’s and many of them had a fair number of Favourite Points. As I have only found six Wherigos in over twelve years of geocaching I thought that it could be a good theme for the day. The others were also interested in hunting for Wherigos so all were happy. We reached Uppsala around 9:15. Parking outside the main centre of Uppsala isn’t too difficult once you find the right neighbourhood and today as this was a public holiday we had no problem at all. Even better was the fact that we were within close walking distance of six Wherigos and a couple more other caches. SMHI had promised that the temperature should hit around 13C during the day but when we started on the first Wherigo aptly named The FTF Hunt it was only a couple of degrees above zero and windy which made it feel much colder. Apart from my head, walking around to the various spots in the WIG kept me warm. It didn’t take too long before we were able to sign the log. From here we went on to Vem vill bli miljonär with the aim of continuing on to my cache so I could replace the container. 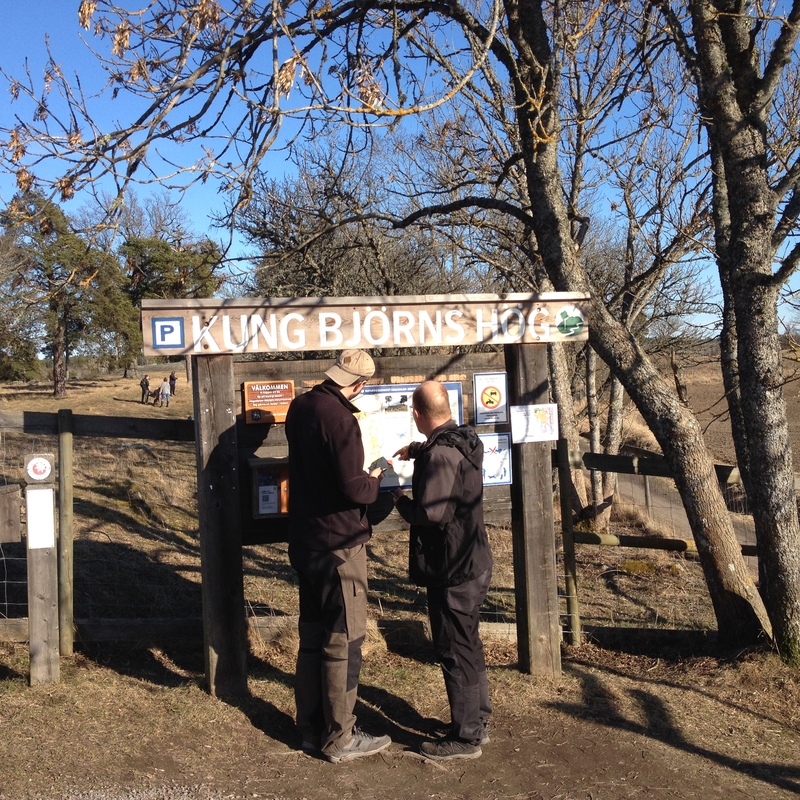 However, when we found the coordinates to Vem vill bli miljonär we were more or less back where we started the day and so ended up doing the really creative Orienteering, Sherlock Holmes and OS i Sotje 2014 Wherigos before we thought about heading for the station. Before that I just want to give Mr. Finder and Team_Ese a big thank you for the creative Wherigos! As you can see from my GPS track we covered the area quite well and I am sure that some of the local inhabitants who were out in their gardens wondered why we walked past them so many times. 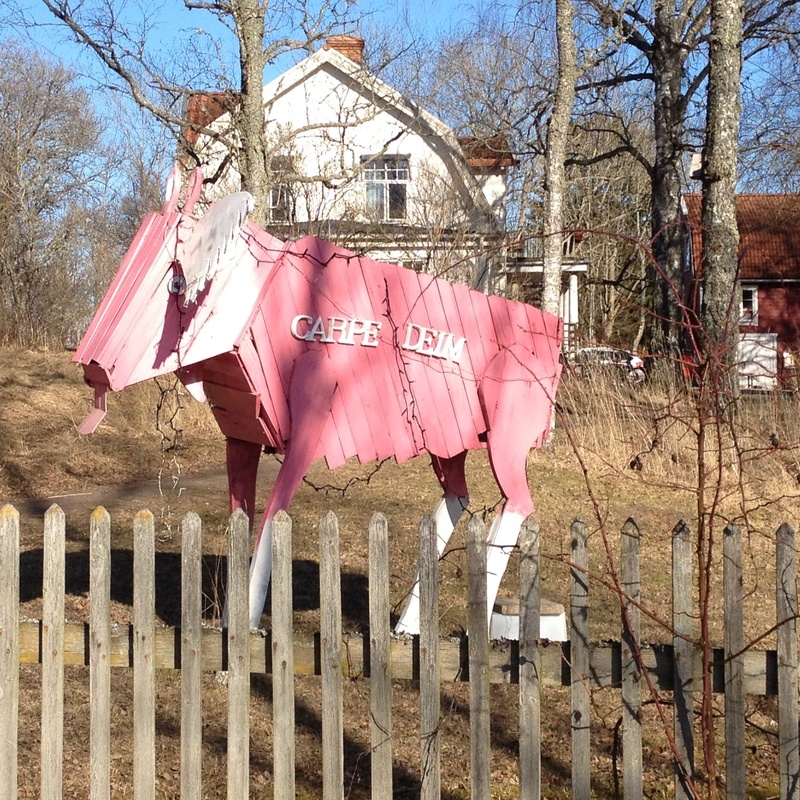 By now it was nearing noon so we zoomed off to Uppsala station so I could replace my broken cache. Both Madchicken and Ironhawk67 were happy to sign the new logbook as they hadn’t found the cache earlier. We then headed east to a pizzeria that Madchicken found on his smart phone map. It was a good choice as it turned out, despite me not remembering it’s name. We continued on with our quest for Wherigos doing Del 1. Uppsalas okända hjälte and XMAS2015U – 22 – Pettson & Findus firar jul interspersed with a couple of trads before mutually agreeing that we were saturated with Wherigos and needed to do something else. Ironhawk67 had a few field mysts on his wish list so we headed off to Hågadalen which is a lovely nature reserve to the west of Uppsala. We wandered around the area picking up a few more caches including the tricky Hågadalen #16: Grinden, and a myst that we had all solved earlier and saved for such a day, Sudoko with a view. At Hågadalen #12: Mitt på fältet we met and chatted with a couple of geocachers from Berlin who were finding their first caches in Sweden. Naturally we had to end the day in Uppsala by finding a final Wherigo, which was Star wars. Our journey north included a couple of short stops, one in Tierp and one at Dragon Gate, but the highlight of the day was in Gävle where we visited Hello which was a fantastically well crafted mystery with a very interesting twist. This was the Yari cache that I mentioned at the beginning of the post. So far only six people have found the cache. All I can say is “make the effort”!